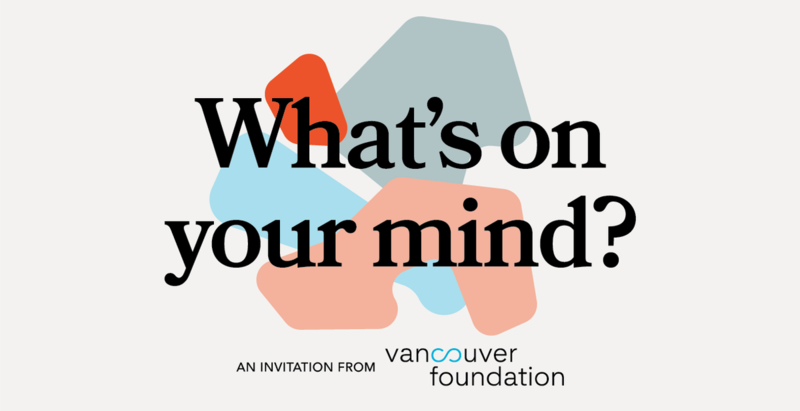 Vancouver Foundation is turning 75 this year. It’s a big milestone — and we want to celebrate with people like you who have been part of our journey over the years. That's why this September 13th, we’re inviting everyone across BC to gather together, share some food in your homes and communities, and talk about what’s on your mind. We want our celebration to be about something bigger than us. Through the research we conduct and the work we do throughout BC, we know that people are longing for a deeper connection to their neighbours and community. We’re using our 75th anniversary to do something about it. The things people talk about will be collected and shared — giving us an exciting snapshot of what’s on people’s minds throughout BC right now. It’s a fun, meaningful opportunity for people everywhere to meet, gather, and share. Host registration is open now, and we’d love to invite you to be part of building a more connected community with us! Register to Host an Event Now! Find out more at OnTheTableBC.com and sign up to the newsletter for updates. You can also get connected on Twitter, Facebook and Instagram and follow along as the excitement grows.